In four generations as pawnbrokers, we’ve seen many people who invest in a piece of jewelry only to later be disappointed that it didn’t hold its value in the way that they had hoped. More: QUIZ: Is gold or silver jewelry the best metal for you? One of the first considerations when assessing an item’s value is determining the materials from which it’s made. When it comes to diamonds, stones over one carat will typically hold their value better than diamonds under one carat total weight. The four Cs are important — cut, clarity, color and carat. 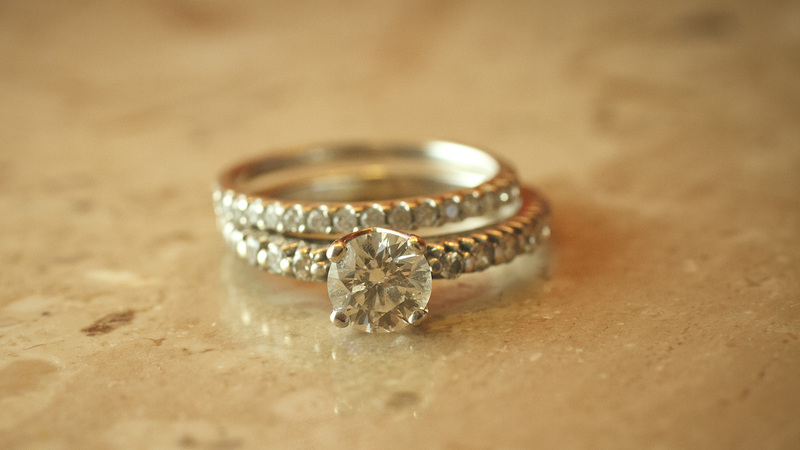 With regard to the cut of the stone, avoid newer, trendy cuts and choose standard shapes, like the round brilliant cut. When shopping for a diamond, keep in mind clarity and color can be more important than carat or size. In short, it’s better to have a better quality, slightly smaller stone than a cloudy, flawed larger stone. 2. What about the workmanship? While diamonds or other precious stones are often at the front of your mind in fine jewelry purchases, the metals used in the piece and the quality of construction are also important. As we were writing this article, platinum was trading at less than gold ounce-for-ounce. Still, in a retail setting, platinum jewelry may cost more than the same piece made of gold, because platinum is a more difficult metal to work with than gold. Despite its higher retail value, the platinum won’t hold its value on the secondary market. Look for hallmarks that indicate the metal’s composition. In gold, higher karat such as 18 karat or 14 karat is going to hold its value more than 10 karat pieces. Beyond the metal’s composition, quality construction that reflects the jeweler’s workmanship is important. An intricate ring setting, for instance, will hold its value over time. 3. Is it a reputable brand? Some of the standard names in jewelry and watches, such as Cartier, Tiffany & Co., Rolex and Patek Philippe are more likely to retain value over time. Some other brands normally associated with costume jewelry, such as Chanel and Judith Leiber, have high market value, even when they aren’t made of precious metals or diamonds. In the end, it’s always best to buy jewelry because it is meaningful to you — a statement watch to mark a career milestone, a stackable ring to commemorate a family event or a pair of diamond stud earrings just because. Buy jewelry you will enjoy long term, which can someday be passed along to someone you care about. Rarely is it an investment that will pay high financial dividends. Instead, consider your jewelry a beautiful way to tell the story of your personal style.